We hosted a visit from 4 Latvian teachers on 10th March and we were proud to show them round our school and invite them to observe our teaching and learning. Lincolnshire Plum Bread was a hit! The Latvian teachers spoke at our Assembly and showed us a video entitled 'This is my Country' which children and staff watched with appreciation of the pride the Latvians had for their country. Latvian teachers were especially pleased to have the opportunity to watch a PE lesson outdoors as they had been hoping to see this all week as they visited schools around Lincoln and Gainsborough. The ladies were impressed by the confidence our children have and remarked on how maturely they speak to adults and their peers. Teachers enjoyed discussing how they encourage peer to peer talking and the Latvians were keen to gather ideas to take back to their own schools. 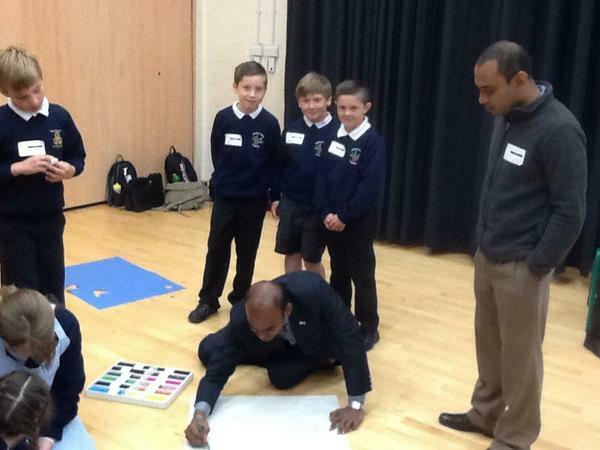 The visit ended with our International Ambassadors leading a 'Question & Answer' session in the playground at break. Year 1 have had an opportunity to look at some of the books, pictures, craft and writing that Mrs White brought back from China. They enjoyed playing with a feathered toy that Chinese children play with at playtimes. How many times could they keep the feathers in the air ? 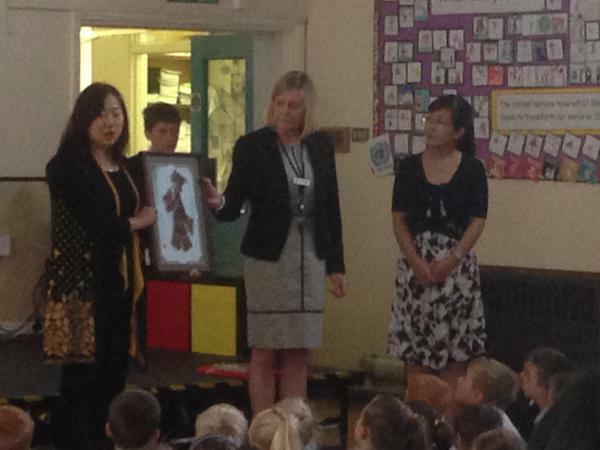 Photographs of our children looking at the gifts that were made by the Chinese children have been sent back to Tangshan. Mr Bashak sent photos of the oldest pupils in his school preparing for their final exams and celebrating the end of their time at primary school. Mr Bashak emailed how proud he felt of his children. This became a theme for discussion in our Family Groups. 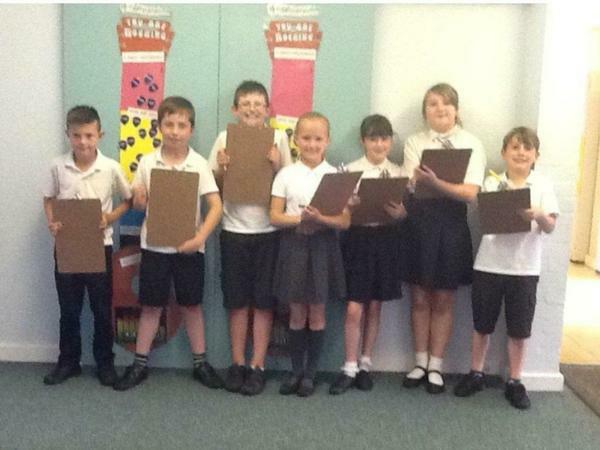 We talked about what it meant to feel 'Proud' and wrote down what our pupils at Keelby are proud of in our school . 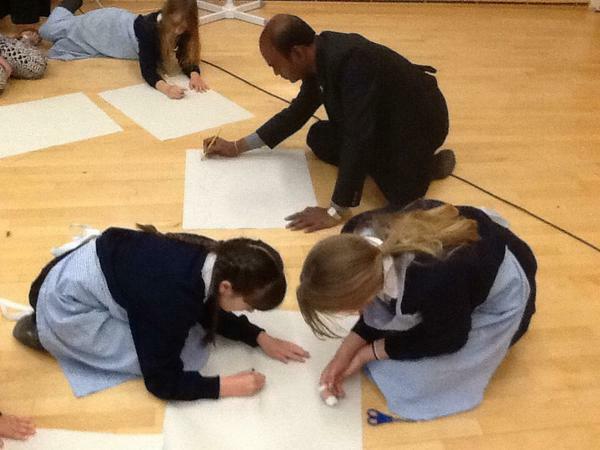 These thoughts and ideas have been sent to Bangladesh to share with Mr Bashak's pupils. We take a pride in our heritage and the reason for our visit was to celebrate William Shakespeare. It was humbling to travel all the way to China and watch Shakespeare's plays being acted by children with a passion and desire to learn English and perform in a Shakespeare play. One school had been doing some work in clay featuring Shakespeare and presented us all with a 'Portrait Plaque.' We observed the culture and traditions in Chinese schools and saw a passion for drama, music and dance as well as a huge pride in their ancient art of writing. 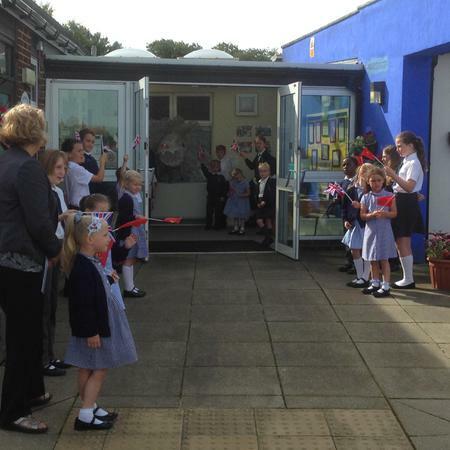 Such a warm welcome and such happy, smiling children. Visiting Chinese schools was an unforgettable experience and the links between schools will flourish as new friendships have been founded. 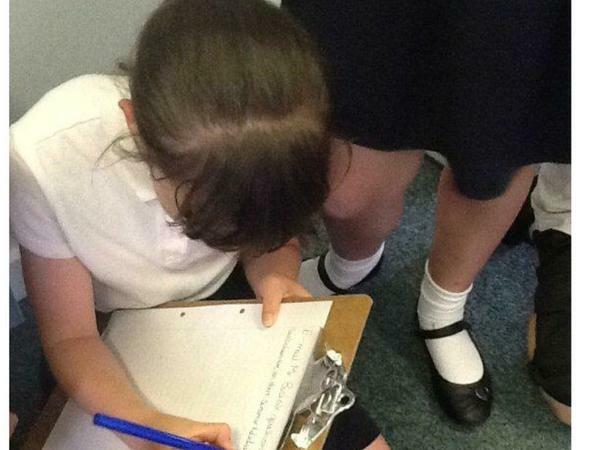 Do we need more structure during playtimes at Keelby Primary Academy? All Chinese children play with equipment during breaks and this promotes co-operation and collaboration. Something to discuss in Family Groups. 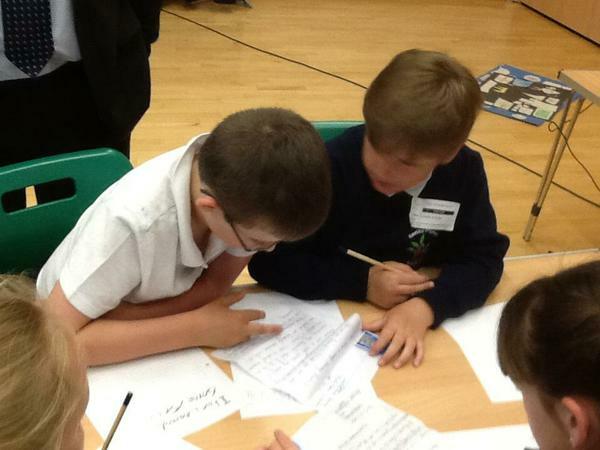 In our Family Groups at Keelby Primary Academy we have discussed behaviour and what our value of 'Respect' means to us. We have looked at some photographs of how the Chinese children move around their schools and how they play at playtimes. We asked ourselves if we could learn any lessons from the photographs and the way the Chinese children behaved. Keelby staff and children came up with some immediate actions to improve the way we walk in to school and also the lunchtime routines. It has been pleasing to see how our pupils have used information from a different country and culture to promote change in our school. On arrival in Tanshan we visited a Kindergarten. The children were served their dinner, looked at books including 'A Squash and a Squeeze' by Julia Donaldson and sang songs to us. Xishanlu Primary which is linked with Keelby Primary has recently constructed a Science/Arts building which created so many opportunities for pupils to be involved in practical experimentation using state of the art technology and toys such as Lego and Rubrics Cubes. The pupils demonstrated skills in a very mature way and clearly a great deal of time and money had been spent on this facility to make it as exciting and 'hands on' as possible. 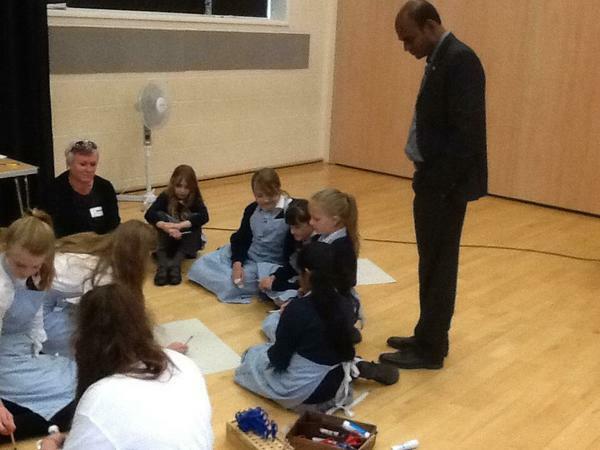 We were guests of honour at a Handwriting Ceremony for a Grade 1 group of pupils. The focus is on Reading for the first year of of their education and when they reach Grade 1 Chinese pupils are given writing equipment and paper as part of a ceremony which includes being shown how to write the easiest Chinese symbol by an artist. The children are invested as Young Pioneers by Grade 5 pupils who tie a red scarf around the necks of the younger children. The Handwriting ceremony included children parading with flags, singing thanks to King and country, chanting thanks to their parents and teachers for their education. Each child received a red dot on their forehead - this was a symbol to represent ' thinking' and all the parents looked on proudly and clapped as the children's writing was celebrated. 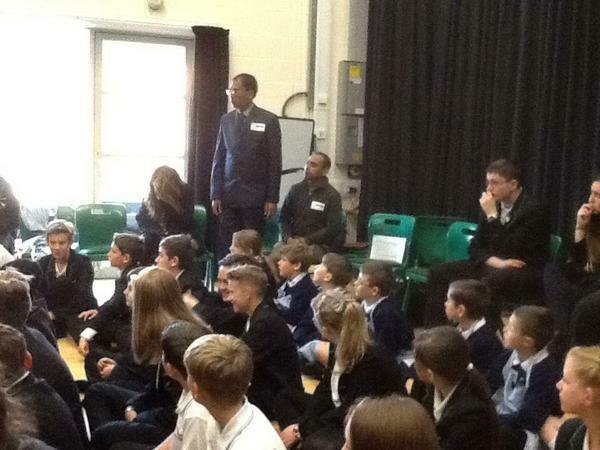 As visitors from the UK we were led up on to a stage with local dignitaries and the heads of school. This was a school with 27000 pupils yet each individual Grade 1 child was made to feel extremely special that morning. From clay making workshops to a performance from a pupil who belongs to the Bejiing Opera we were overwhelmed by the quality of the Arts in Tangshan. The Arts are hugely celebrated in Chinese culture and most Primary schools we visited had specialist teachers and purpose built dance studios, theatres and art workshops. We observed such a range of traditional and modern Chinese dance as well as carefully prepared pieces to link with the UK such as Auld Lang Syne played on harmonicas by one group of children. "Shakespeare" is the theme of our link with schools in Tangshan so every school we visited performed a play in English. We watched Macbeth , A Midsummer Nights Dream, Twelfth Night and various versions of each one. The standard of these productions was extremely high and their English was faultless. Every school put in a lot of effort to produce their play and the children were so proud to perform to us. We played volley ball with the staff and managed to beat the pupils. Great fun! Every child in China has an hour of PE every day and it is taught by specialists in sport. Our partner school in Tangshan made us feel so welcome. 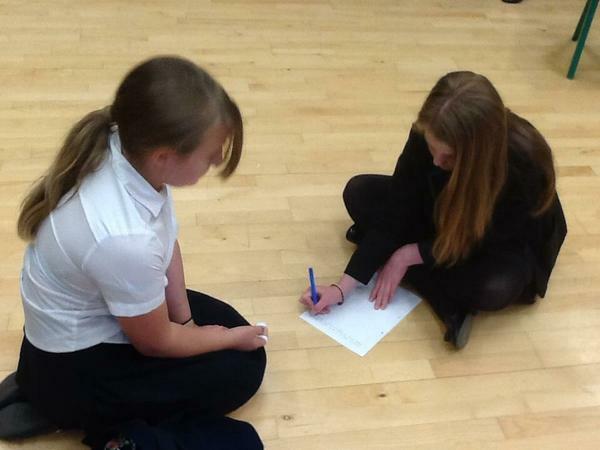 It is a large school with over 1000 pupils, specialising in Sport and boasting a brand new Science/Arts building. We watched and joined in with a Shadow Puppet Play. The string puppets were made from donkey skin. 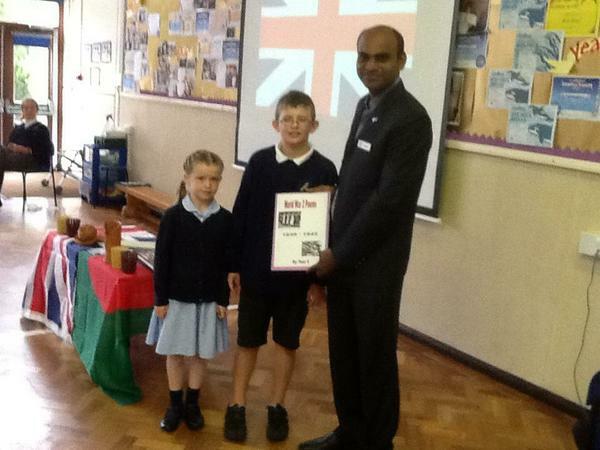 Keelby Primary Academy are the proud recipients of the International Schools Award for the next four years. We have been awarded the prestigious award by the British Council in recognition of our work to bring the world into the classroom. It is a badge of honour for schools that do outstanding work in international education, such as our links with partner schools such as Santahar Government Primary in Bangladesh and Tangshan Xishanlu Primary in China. At Keelby, teachers take every opportunity to celebrate diversity. Mrs White is visiting Tangshan on 18th October, spending a week visiting Primary Schools there and creating links which will benefit our pupils as we embed the international ethos throughout our school. The visit culminated in the cutting of a cake depicting the flags of our 2 countries. We discussed forming lasting relationships to enhance the cultural provision in our schools. Y5 ended the visit by performing 'Cotton-eyed Joe' in the playground and the whole school said 'goodbye' in Chinese. A super ending to a special day. 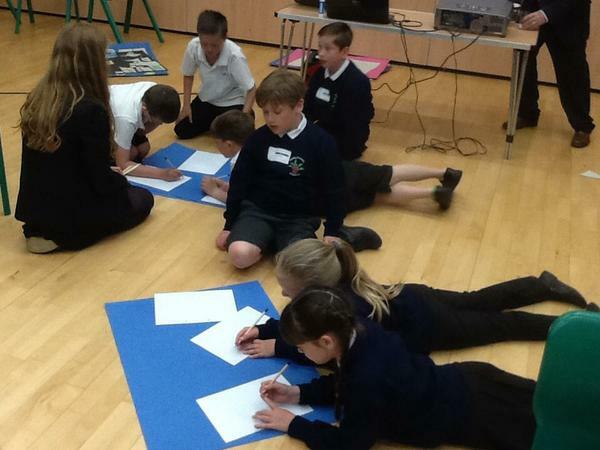 The visit is funded by the British Council and is part of a 'Shakespeare Lives' project which involves Keelby and 6 other schools in Lincolnshire. 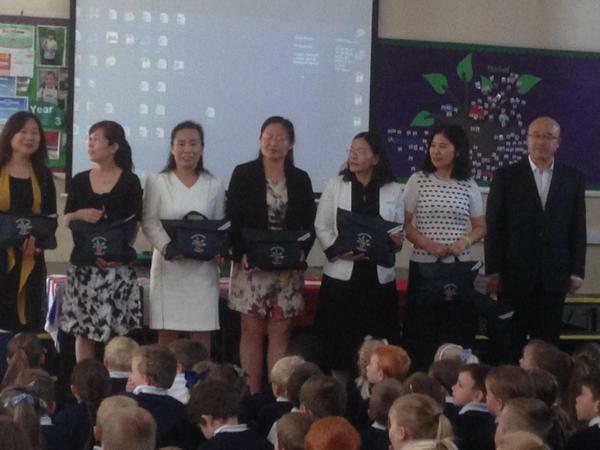 We have already made links with Ms Zhang Choi from Xishanlu Primary in Tangshan. We have sent and received pictures and pieces of writing including Chinese New Year cards. Her pupils have been studying and performing the same scene from 'Macbeth' as our Y5 pupils and she presented a DVD to us in assembly so we can watch their performance. 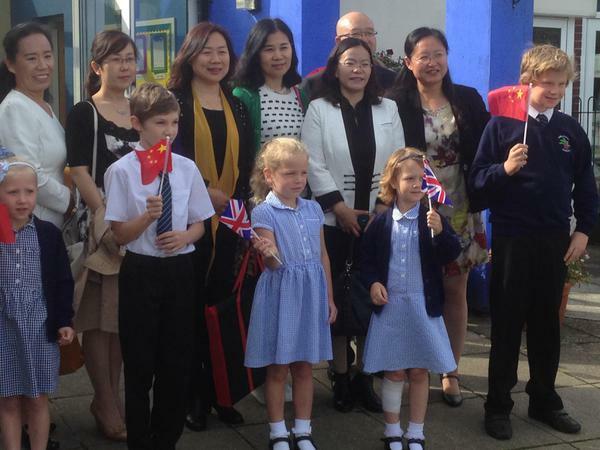 Our Y5 International Ambassadors helped present gifts to the Chinese Headteachers in assembly, they also organised a tour of the school and baked cakes at home. We were so proud of their efforts today as they represented our school with great maturity. We are proud to have welcomed our visitors from Tangshan today. 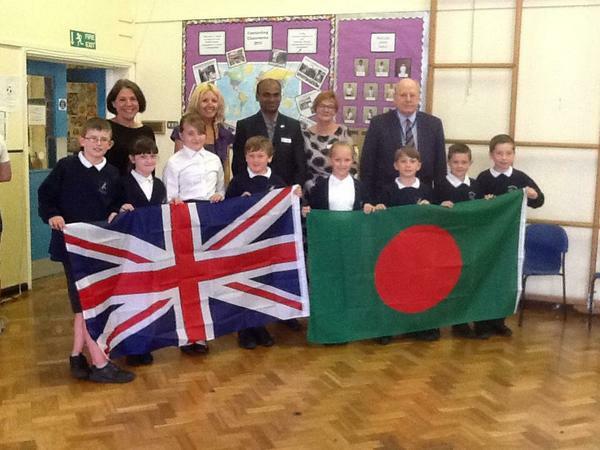 7 Headteachers and the British Council Ambassador arrived to a colourful display of flag waving and singing. Our Y5 pupils gave a wonderful performance of a scene from Macbeth. 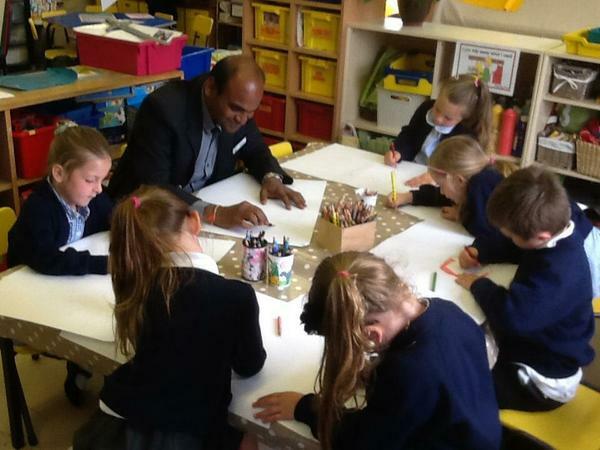 At Keelby Primary Academy our children develop a respect for other cultures and beliefs while celebrating similarity and diversity. 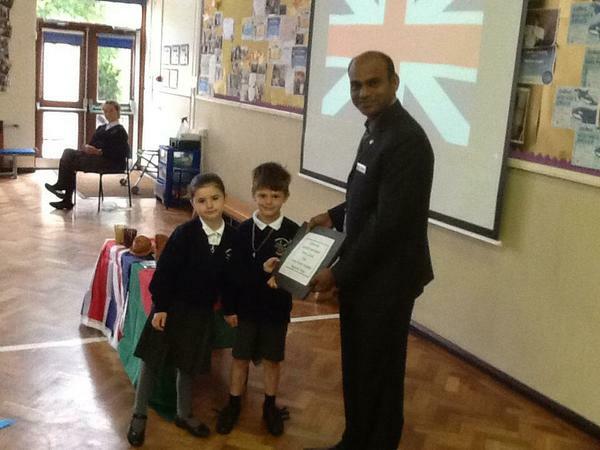 We are proud to hold the International School's Award and are currently working towards full re-accreditation in 2016. 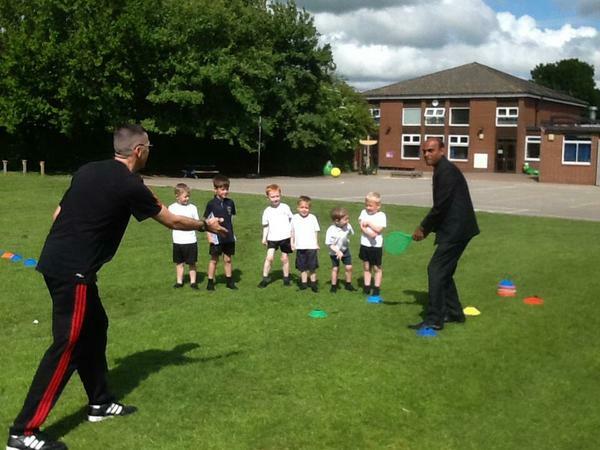 2016 Olympic Sports Day for Foundation Stage and KS1. 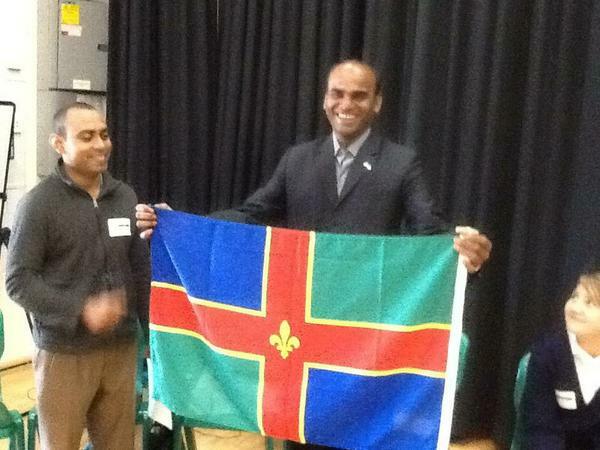 Flying the flags for Lincoln, York and Durham but also the rest of the world! This year the children paraded out on to the playing field to Brazilian Samba music and Keelby became Rio for an afternoon as the children participated in a variety of sporting activities and finished with traditional sprint races and a long distance course. What an amazing afternoon of teamwork and good sportsmanship as everyone participated and friends and families watched on with pride. We are forging new links with a school in Tangshan, China. Year1 enjoy looking at Chinese New Year cards sent from our new friends. Year 5 have drawn pictures of "The view from our window" and sent them to China. We have been comparing and contrasting the traditions that are celebrated on Shrove Tuesday in the UK with Mardi Gras in parts of France, Germany and New Orleans and Rio de Janeiro. We focused on speaking French in our Family Groups this week in preparation for visiting The Mardi Gras Colouring Cafe. Years 3&4 have been learning about French life and customs so they invited the whole school to join them on Friday 12th February at their cafe. We practised basic French greetings in our Family Groups and how to say numbers and colours. All pupils were given 5 Euros to spend at the cafe. The children purchased coloured pens by asking for the colours they wanted in French, masks and lollipop sticks. They later wore these masks to watch the Pancake Race. After spending 20 minutes in the cafe talking in French to the Year 3&4 pupils the class teachers then purchased jugs of hot chocolate, baguettes and butter to take away! 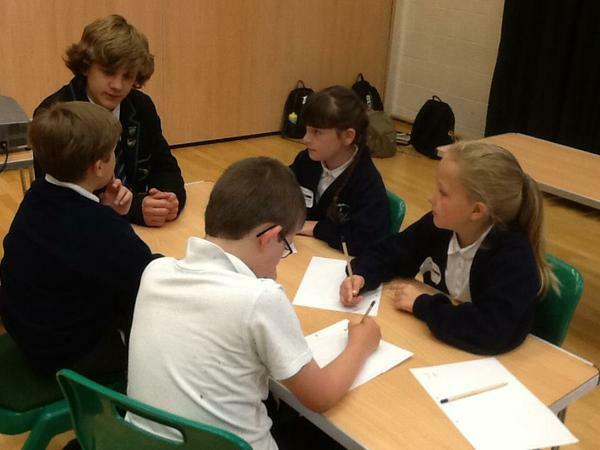 It was great to hear all the children from Foundation to Year 6 having a go at speaking French. In our House Teams we competed against one another to see who could toss a pancake the most times in one minute. Finalists from each Family Group went on to represent their House teams in a Pancake Race on the afternoon of Friday 12th February. The whole school enjoyed watching and cheering for their House Team. Well done to everyone who tossed pancakes and ran the distance! The 2 boys who made the final were Henry Sixsmith and Brandon Bowen. It was a close finish but Henry managed to finish first and win the House Cup for Durham. Great effort! 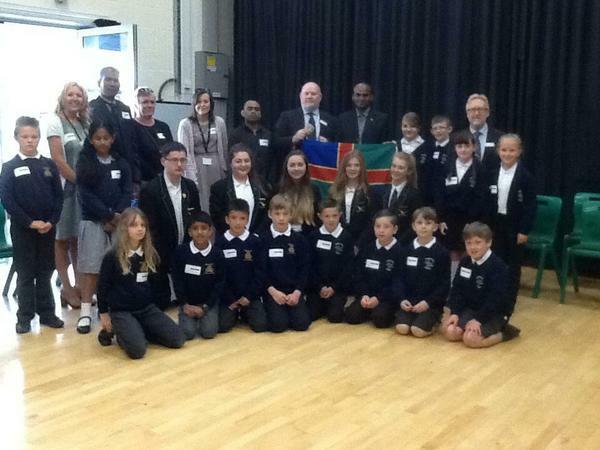 Our 8 International Ambassadors recently visited Welton St Mary's Primary Academy to collaborate with some of their pupils to sing and record a song to send to partner schools in Bangladesh. 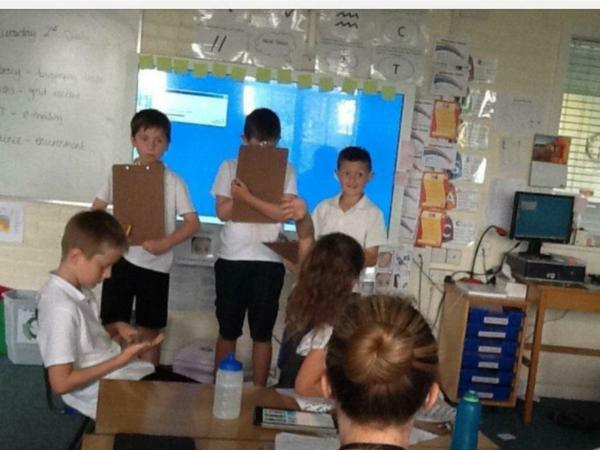 The children created a 'fact book ' about UK rivers and the affect that they can have on our lives. 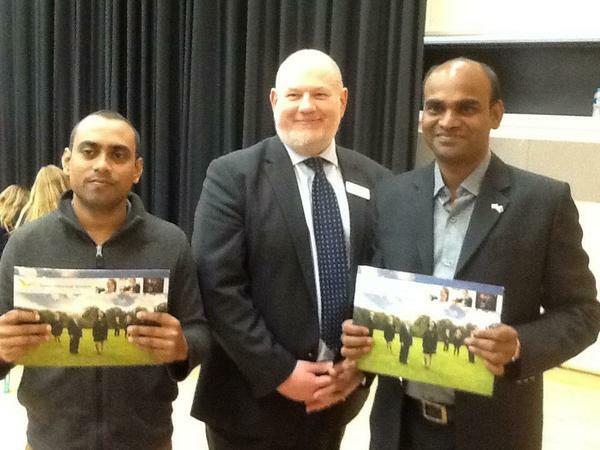 We have sent the books to our partner schools and hope to receive reciprocal information about rivers in Bangladesh and the influence they have on the lives of Bangladeshi children. 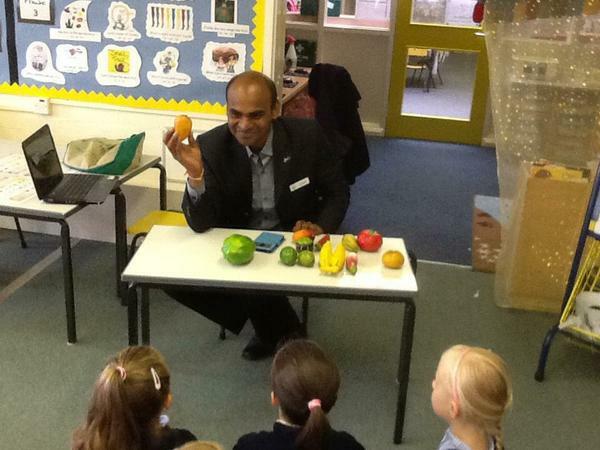 Ratan Bashak would like to wish everyone at Keelby Primary Academy a happy holiday. Our International Ambassadors have collated questions from all pupils and sent them to the pupils of Santahar Government Primary School in Bangladesh. 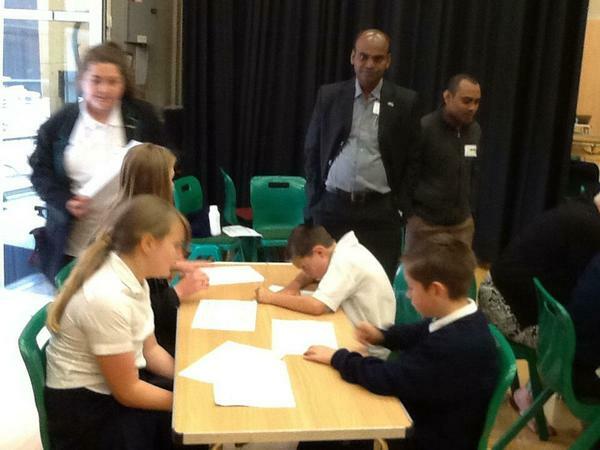 We will look forward to receiving their answers in September and learning more about life in Bangladesh. 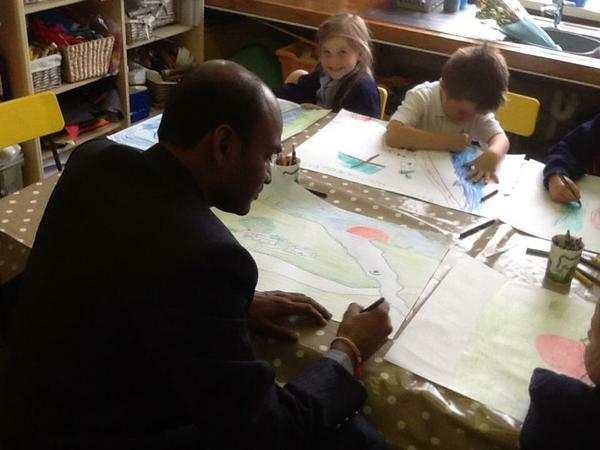 Keelby Primary Academy is proud to have hosted a visit from Mr Ratan Bashak. Mr Bashak is a teacher at Santahar Government Primary School in Bogra, Bangladesh. 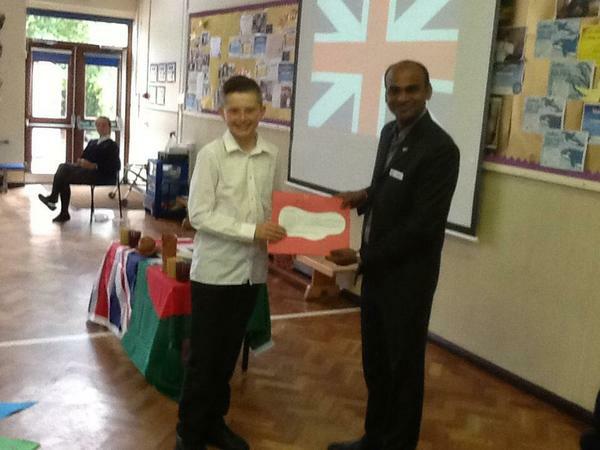 Mrs White presented Mr Bashak with a pin depicting the UK flag and the flag of Bangladesh. Mr Bashak wore the pin throughout his visit and appreciated that it symbolised that we are going to learn about and appreciate each other's cultures for many years to come. 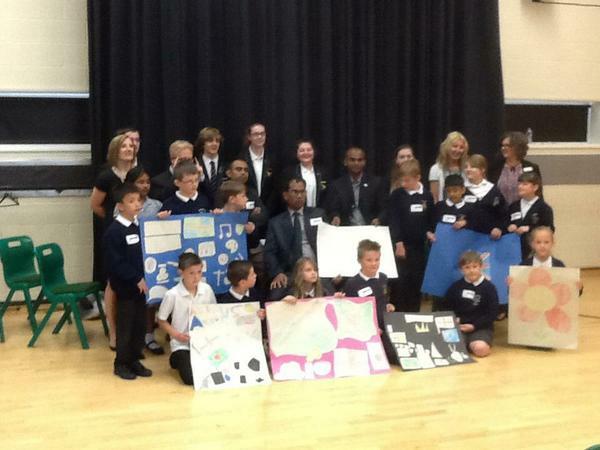 Our 8 International Ambassadors were proud to represent Keelby Primary Academy at Caistor Yarborough Academy on an International Day alongside pupils from Welton St Marys Primary Academy and some of the visiting Bangladeshi teachers and head teachers. 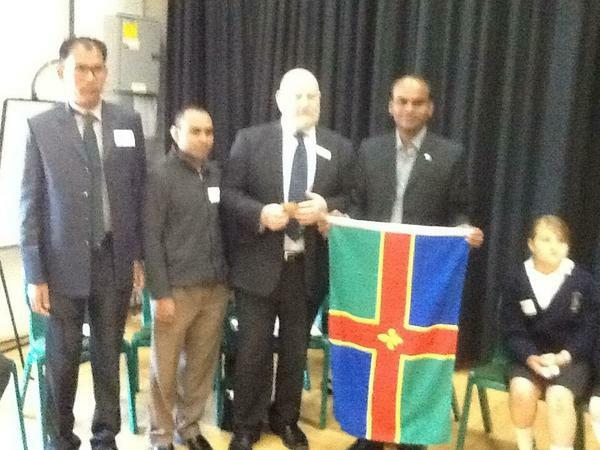 The Bangladeshis were given a Lincolnshire flag to take back to their schools. This visit has been funded by the British Council. We have worked hard to obtain a grant to connect our classrooms with those in Bangladesh. The 8 International Ambassadors will now remain in this post until they reach the end of Year 6. It is their role to assist Mrs White in keeping the link alive! 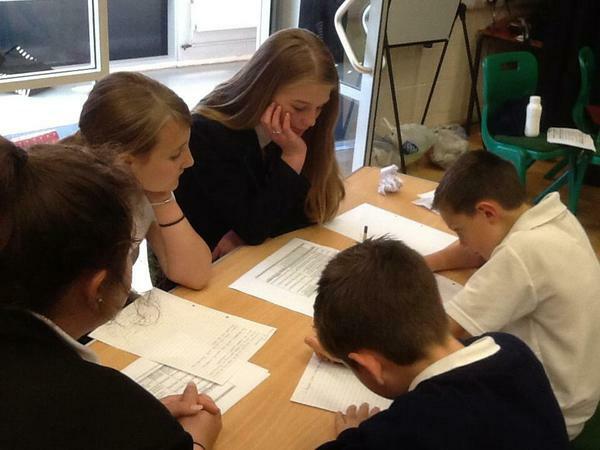 The day at Caistor Yarborough Academy had the theme of 'Identity and Belonging'. 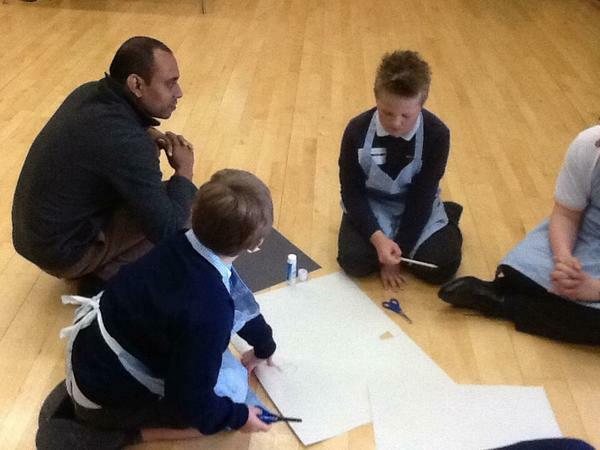 Our pupils created art work to describe their own identities through signs, shapes and symbols. 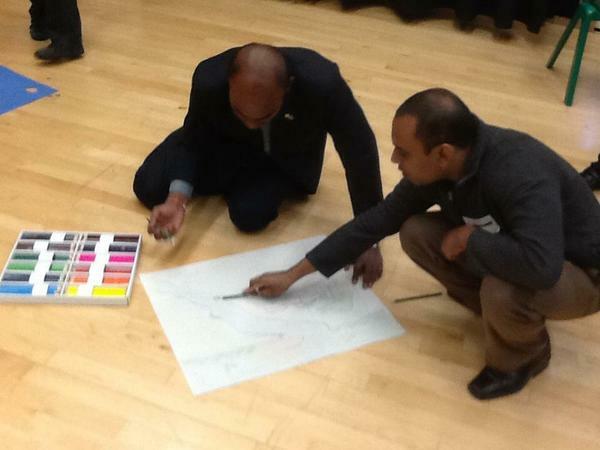 The Bangladeshi teachers joined in this activity and also gave presentations about who they were, where they lived and where they worked. 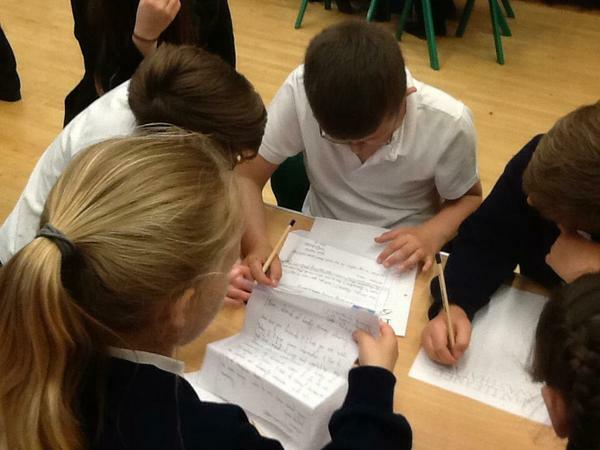 Our Ambassadors also wrote letters to Bangladeshi children which the staff were taking back in their suitcases to gain answers to some of our questions about life in Bangladesh! 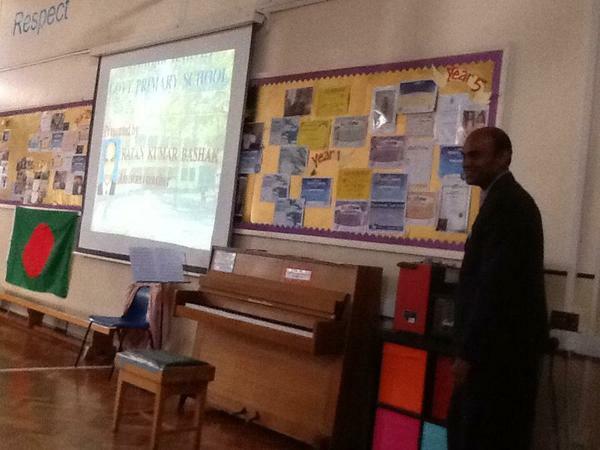 Mr Bashak gave a presentation to the school about his village and school community. 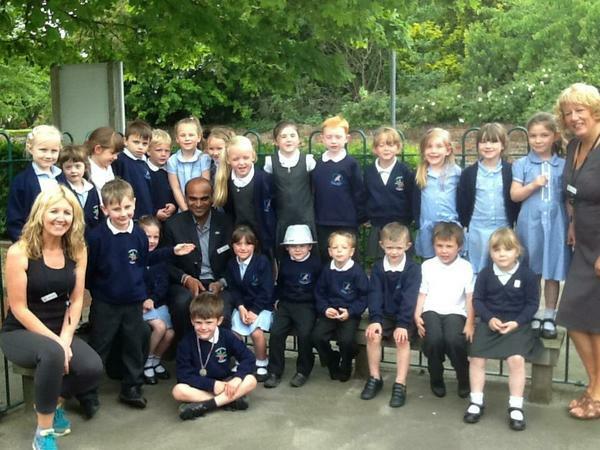 He spent a few days at Keelby getting to know all the children. 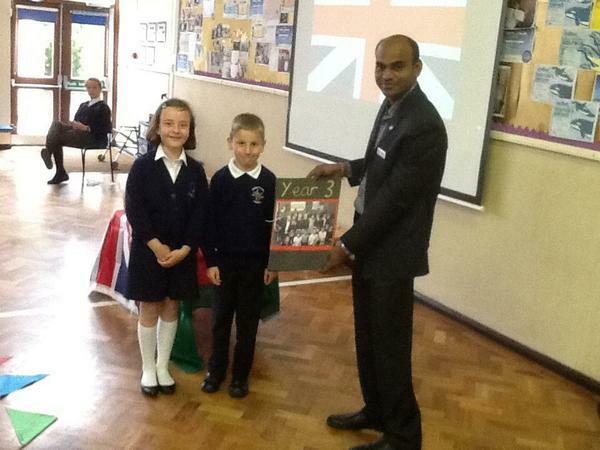 He visited each class and joined in with their learning and brought items from Bangladesh to talk about with our pupils. 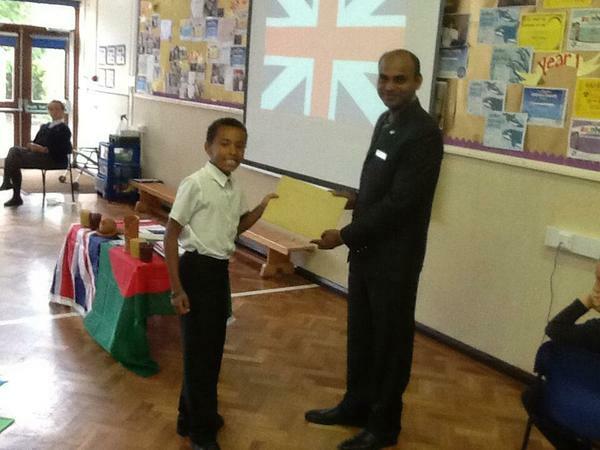 In Year 4 he took part in a poetry lesson and was given a class set of poems written by the children at his final Assembly. In Year 1 he took part in a rounders lesson and in Foundation Stage he drew a scene from his village of Santahar for the children to display. The final assembly for Mr Bashak was extremely poignant. Our classrooms had become connected and we celebrated the beginning of our Learning Journey together. The children sang with such emotion that Mr Bashak clearly realised he was a very important visitor at Keelby Primary Academy. 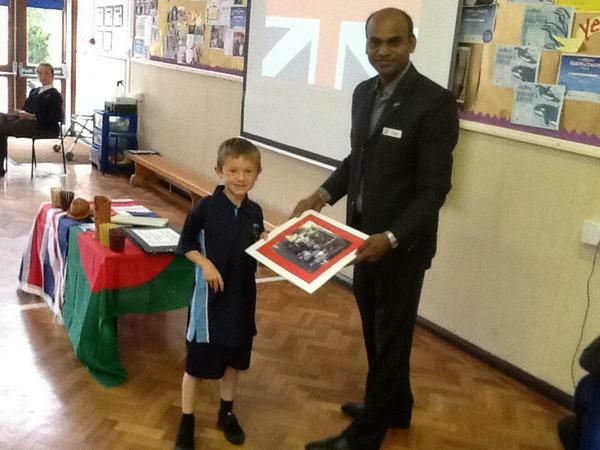 He was overwhelmed with his gifts from our school which included writing, pictures and photographs for him to take back to Bangladesh. Mrs Harrison, our Governor talked about what the children had gained from the visit and about future questions we might ask. Mr Williams our British Council Ambassador spoke about sustaining the project and maintaining links with Santahar Government Primary School in Bogra, Bangladesh. Mrs White thanked Mr Bashak and talked about how we can all learn more about our own identity and belonging by finding out about the lives of other children around the world. 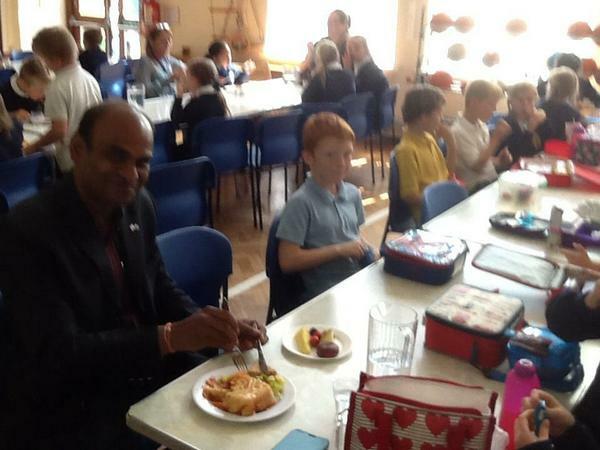 June 2015 Visit from our Bangladeshi partner Mr Ratan Bashak.